Usually I have a Christmas theme picked out for the next year the day Christmas is over. This year was totally different though. 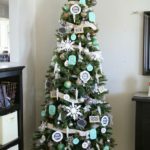 It took me almost 9 months to come up with an idea of what I wanted to do this year. As soon as I figured it out though, I was excited. 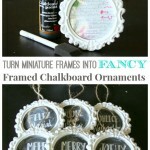 This year I knew that I wanted a Chalkboard inspired Christmas. I love the chalkboard look and tried to put a bit of it in each thing I decorated. 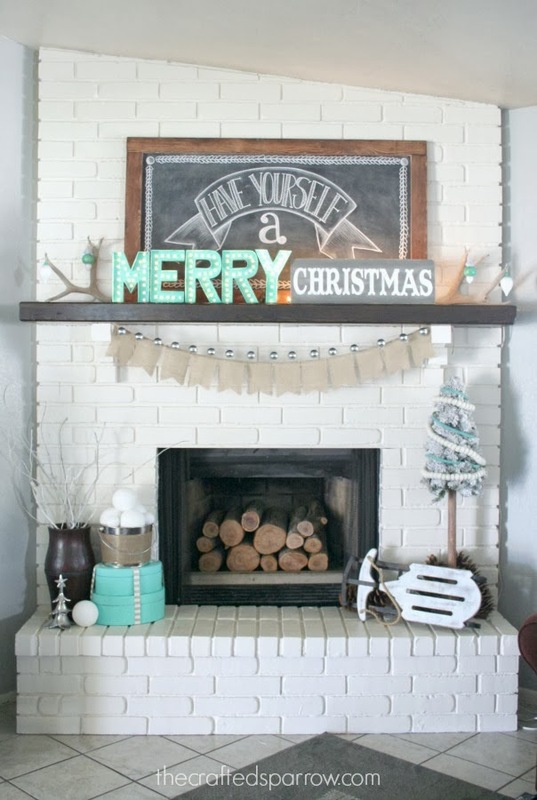 Today I’m sharing my Chalkboard & Marquee inspired Christmas Mantle with you. This years mantle is not over the top decorated, it’s simple and I love it! I have loved all the faux Marquee letters I’d seen on pinterest.. 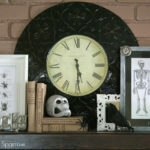 So I created my own set to pair with some other things on my mantle. 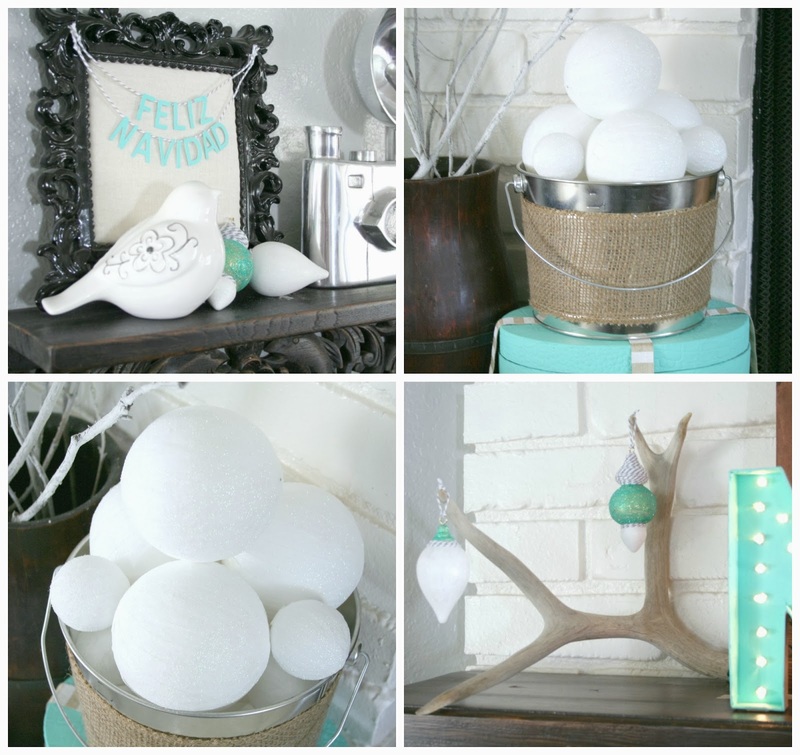 I used DecoArt’s American acrylic paint in Sea Breeze as my accent color this year. Here it is unlit. Although at night I love the glow of it. 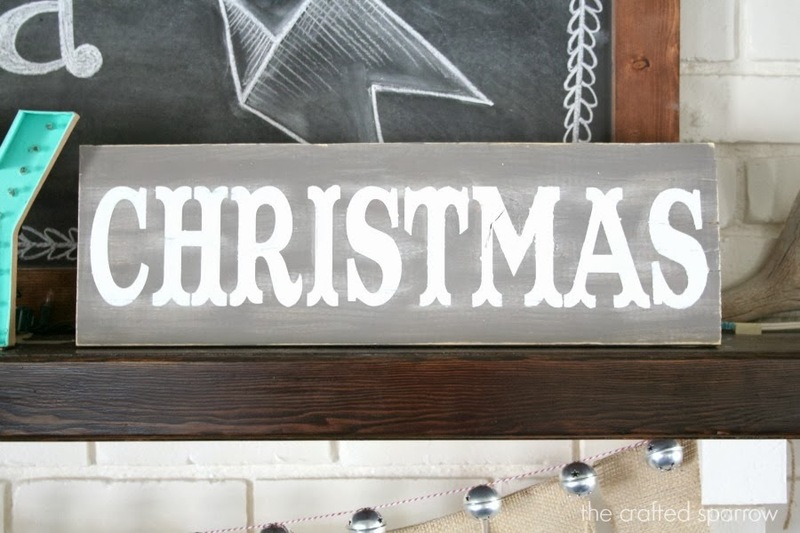 I paired my “MERRY” marquee letters with a cute little wood sign I painted and roughed up. I made a giant 4ft. 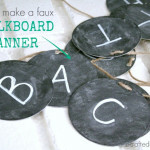 version of the DIY Chalkboard I made here. 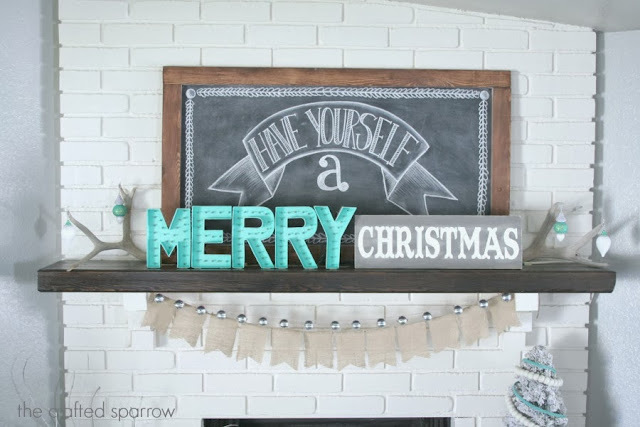 I wanted a simple design to layer behind the “Merry Christmas”, and this chalkboard sketch was it. I love how it turned out. I also added some antlers I found at Goodwill a few months ago. This tiny flocked tree is still one of my most favorite Christmas decorations. 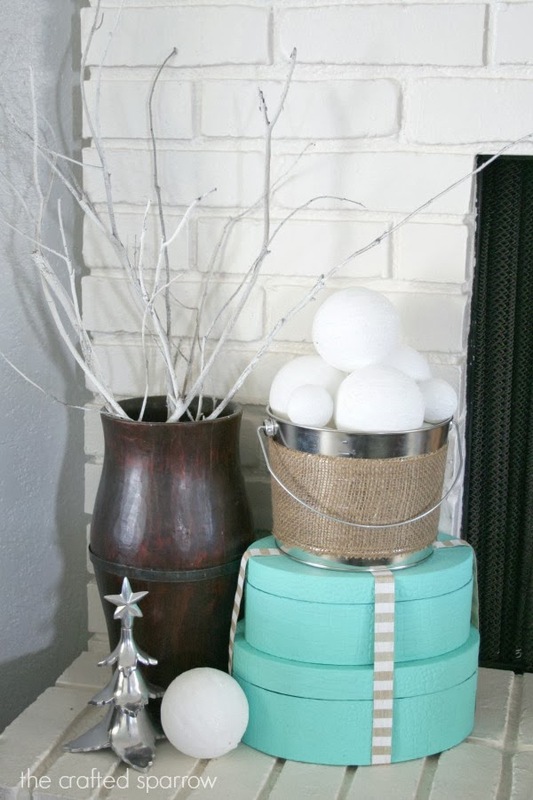 I love that I can just wrap a small pom pom garland on it and add a tiny bit of color to it, and it’s just perfect. 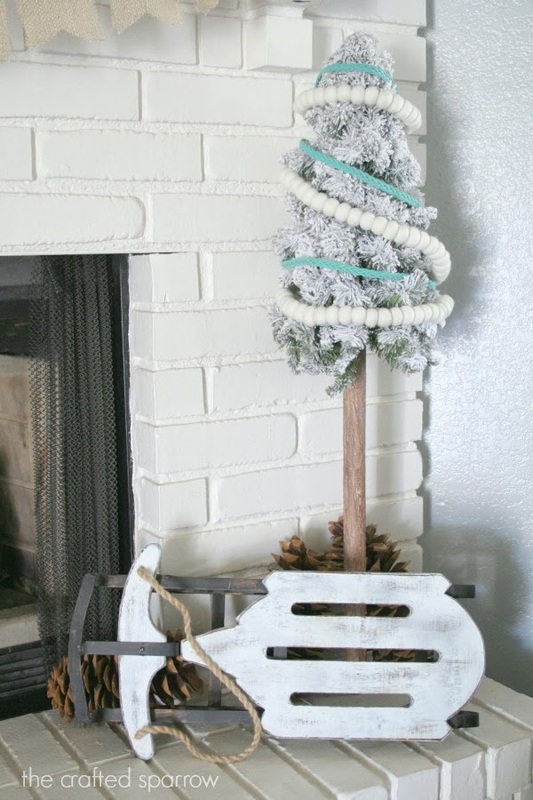 The braided turquoise garland around it is actually a thin belt out of my closet! For a few years I’ve had candles in our fireplace since we don’t usually burn real fire in it. 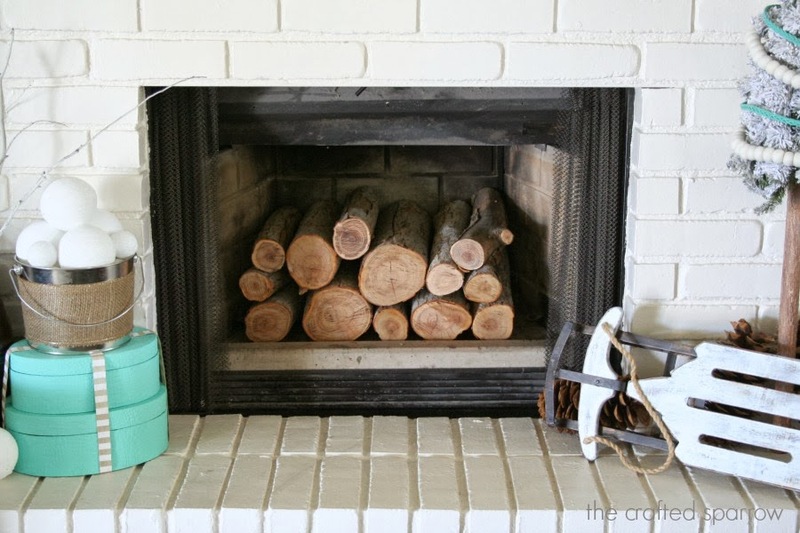 So this year I decided to fill it with some cut logs. Luckily the neighbor behind us cut down his tree and let me load of a wheel barrow full of logs. 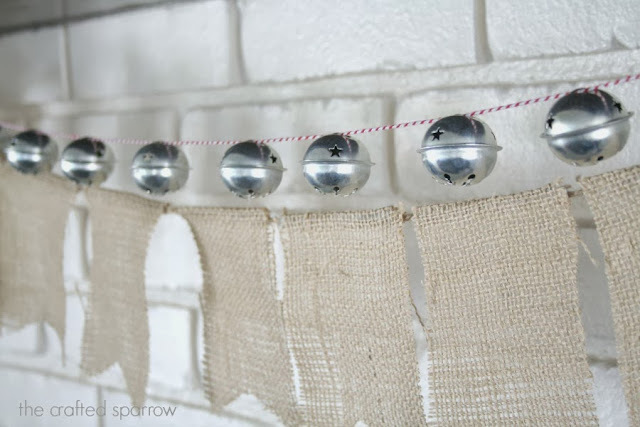 I added a simple jingle bell garland on some bakers twine, and my trusty burlap banner. I couldn’t be more happy with how it all turned out this year. 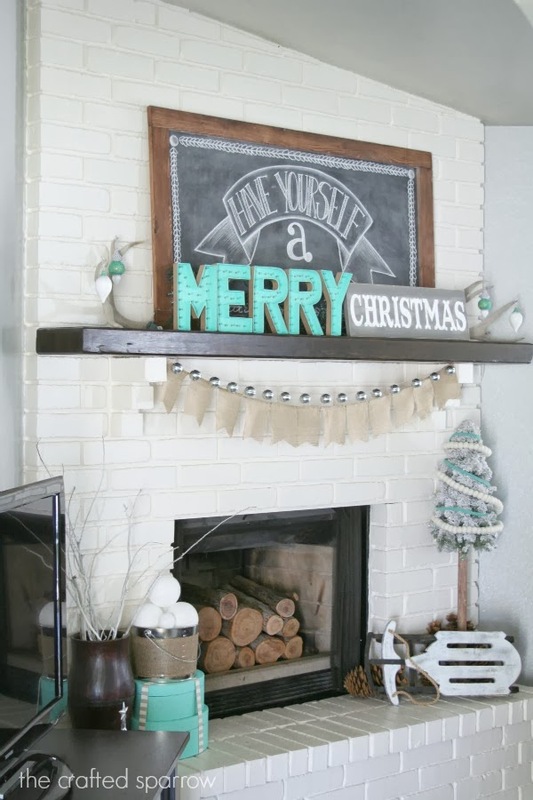 It seriously makes my heart happy to see the bright color pop of the “Merry” marquee sign and my new chalkboard with my freshly painted gray walls and my white painted brick fireplace. I hope you love it too. It’s so beautiful! I love the colours, although I think the hubby would kill me if I tried to move away from the traditional red and green. Maybe one day! Love this set up, perfect eclectic mix!! Can’t wait for the holidays to arrive! Looks amazing! You did a great job! 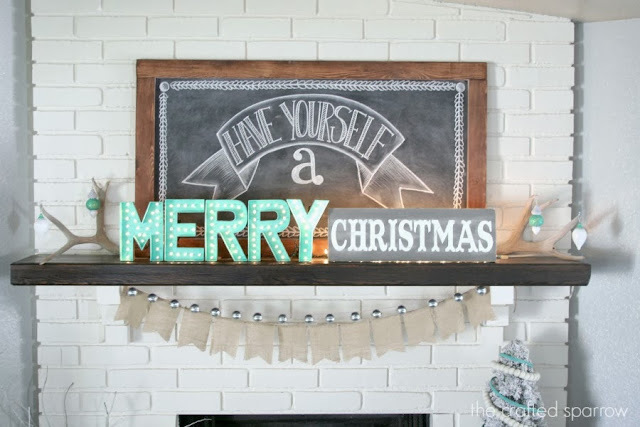 =) What tutorial did you follow for the faux marquee lights?